At Christmas, airlines compete to create a memorable festive experience for their customers. For Microsoft in partnership with Virgin Atlantic, Christmas 2015 was no exception and heralded the most ambitious project so far, bringing together a multi-layered customer experience with digital technology at the heart. To create the world’s first connected gaming experience at 35,000ft (via WiFi) and to bring some festive magic to Virgin Atlantic customers. 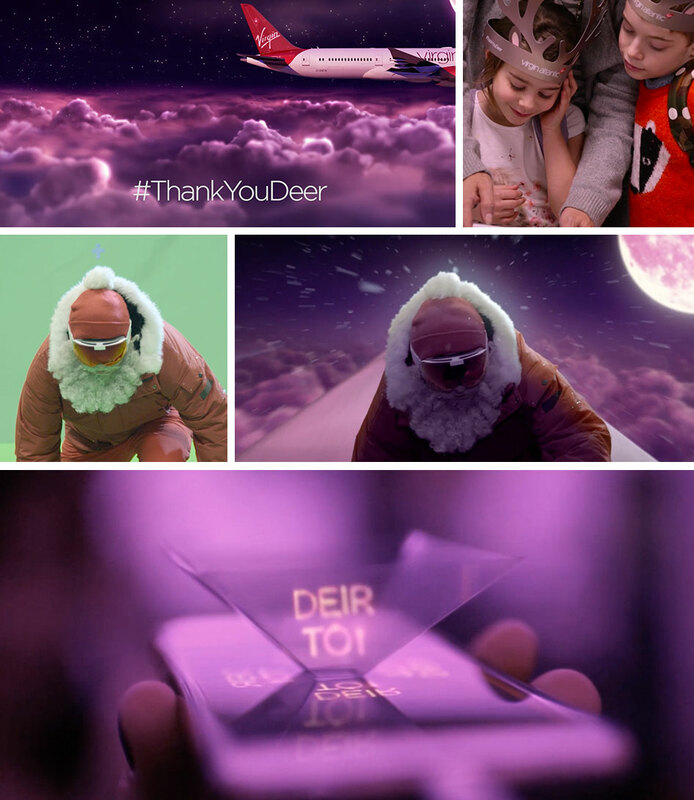 The week before Christmas, Virgin Atlantic said ’Thank you deer’ to their customers in a truly magical way. The challenge? To find Santa’s reindeer and get him back in time for Christmas. With both flights working together, customers cracked the clues to find the reindeer around the globe. Working closely with Microsoft, we developed a series of content assets to bring the experience to life for Virgin Atlantic customers on flights from Shanghai to London, London to San Francisco and on the ground. A website was designed and built by Silver on Microsoft’s Azure platform to deliver the digital element of the experience and our team at ‘mission control’ coordinated every stage of the digital story, from the delivery of video content through to releasing new games on board the flights. The whole experience was captured by our video crews on board both aircraft. A highly memorable experience for Virgin Atlantic customers and a world first for digital technology. Immerse yourself with international brand man and entrepreneur, Graham Dodridge who shares his insight and experience.